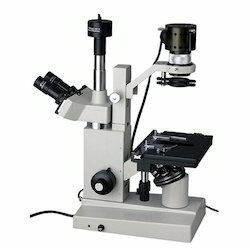 Providing you the best range of tissue culture microscope, inverted tissue research culture microscopes, inverted tissue microscope and inverted tissue culture microscope with effective & timely delivery. 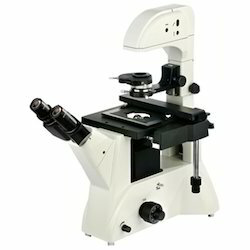 We are presenting wide range of Tissue Culture Microscope. Products offered by us is widely acknowledged for its high performance and long functional life. Our offered range of product is available in various specifications. The products can be obtained in customized specification also. Our valued clients can avail these products at leading price from us. We are a remarkable firm in the industry in offering a wide array of Inverted Tissue Research Culture Microscopes to our clients. The products offered by us can be easily availed at competitive prices from us within the committed frame of time. 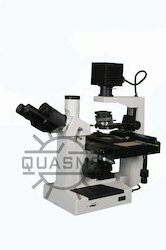 We are one of the well-established inverted tissue research culture microscope manufacturer in the market. These products are made from best quality components under the assistance of best industry experts in accordance the set industry norms. We are a leading firm in the industry engaged in providing a vast collection of Inverted Tissue Microscope to our customer. Offered range of products is made of optimum quality components that are supplied by the trustworthy vendors of the industry. Our offered range of products is widely demanded across the industry for their flawless operation and finest quality. Moreover, we are offering these products at leading market rates within the stipulated period of time. Infinity and long working distance plan achromatic objective: PLL 10X0.25 Work distance:4.3 mmΦCover glass thickness:1.2mm. PLL 20X0.40 Work distance:8.0 mm£ Cover glass thickness:1.2mm. PLL 40X0.60 Work distance:3.5 mm£ Cover glass thickness:1.2mm. Phase Contrast Objective::PLL 10X0.25 PHP2 Work distance:4.3 mmΦCover glass thickness:1.2mm. Eyepiece tube: Inclination angle is 45° and interpupillary distance is 53 ˜75mm. Focus system: Coaxial coarse/fine focus, with tension adjustable and up stop minimum division of fine focusing is 2μm. 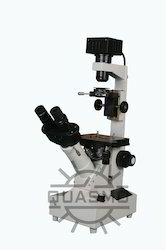 Designed to observe Inverted Tissue Culture Microscope, planktons and any type of microbes in liquid media in Cavity slides, Cavity blocks, watch glasses or petri dishes etc. involving wide range of applications. Mounted on a pole and can be positioned in vertical height range upto 140 mm. Complete with Koehler's illumination system with focusable condenser lens with iris-diaphragm filter-carrier etc. 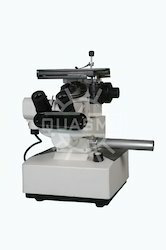 We are offering a wide range of Inverted Tissue Culture Microscope that are ideal to fulfill the client’s requirements. Offered range of products is made from high grade raw material as per the latest technology. These products are highly appreciated and demanded among the clients for their durability and premium quality. Apart from this, we are offering these products at pocket friendly price within the committed period of time. We assure safe delivery of the offered range of products.